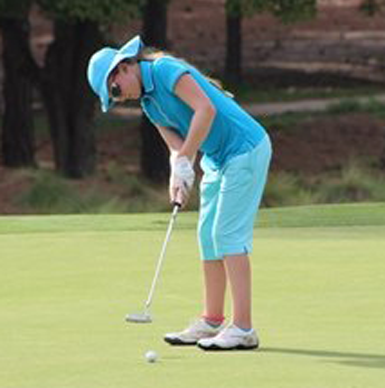 Eighth grade student Nicole Adam will be competing in the national championship for Drive, Chip and Putt in the 12/13 age category at the Masters on Sunday. Tune into the Golf Channel at 8:30am Sunday morning to watch. 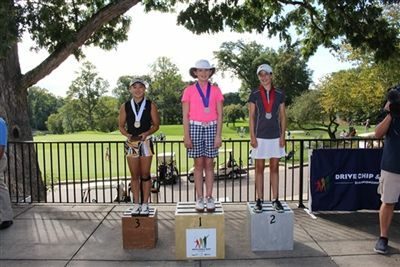 On Sunday, September 20th, O’Neal eighth grade student Nicole Adam won the Drive, Chip and Putt Regional Competition for her division (Girls 12-13) at Congressional Country Club in Bethesda, M.D.. This achievement qualifies her as one of the 80 finalists to compete in the championship held at the Masters in Augusta, Ga. in April of 2016. Nicole will be the only female participant from North Carolina competing. The Drive, Chip and Putt Championship is a free youth golf development program offered nationwide to girls and boys age 7-15. It is a joint effort by the USGA, the Masters and the PGA of America. There are ten regional qualifiers culminating with the championship at the Masters.